It’s that time again – time to hire! 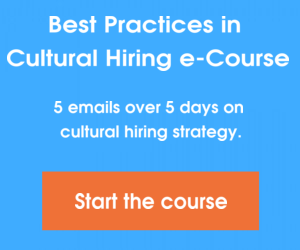 Thankfully, you understand that hiring for cultural fit is just as important as hiring for skill, but do you know how to interview for cultural fit? Interviewing for cultural fit is very simple when you are asking the right questions. Before you interview the first person, you should put pen to paper and create a list of cultural interview questions. 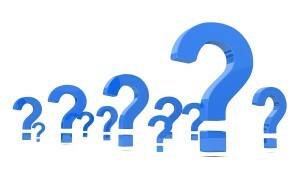 This will help you to ensure that you are remembering and asking the right questions throughout the interview process. There are 4 key questions that will you want to be sure to include on your list. 1. What type of management style do you prefer? You and your company’s approach to management is a key factor when interviewing for cultural fit. Is your management style relaxed and hands-off or more structured and hands-on? Whatever your style may be, you will want to hire accordingly. If your management style is hands-off, you will want to hire an employee who is able to and happy to work alone, with little guidance. The best way to interview for this skill is by simply asking what the candidate prefers. Find out what type of management style the candidate is used to and what she likes or dislikes about certain styles of management. 2. What kind of environments have you worked in previously and what did you like/dislike about them? A great way to find out the type of culture someone is most successful in is to ask. Ask the candidate about previous places of employment. Find out what they liked or disliked about each position or culture and why. If the candidate has only ever worked in a team oriented environment with a relaxed atmosphere, chances are she will have a difficult time adjusting to a more structured and independent work environment. You can also confirm the candidate’s past work environments with previous employers when checking references. 3. How do you communicate with your coworkers? This question is a great way to determine how a candidate has interacted with coworkers in the past. Typically, when asking this question, you will be able to determine if the candidate enjoys verbal or face to face interaction versus more distant communication such as email. Having employees who communicate with each other in a like-minded way is important to your culture. Ask for examples of how often the candidate spoke with coworkers verbally versus email. Find out if the candidate has been in an environment that encouraged socializing with coworkers after work. 4. What does “teamwork” mean to you? When you have a group of people who enjoy interacting and working in a team, it can throw things off balance if you add someone to the mix who truly enjoys working alone. By asking what “teamwork” means to a candidate, you can make sure that she is on the same page when it comes to your company’s attitude and perception of teamwork. Ask for examples of when and how often the candidate was required to work on a team in the past. Find out what the candidate’s responsibilities were on the team and how she interacted with other team members. How do you interview for cultural fit? Please share your recommendations below in the comments.